There’s a bill in the California Assembly that we think would make postsecondary education more expensive for students. Not only that: we think that it would undermine students’ right to make fair uses of educational materials. To make matters worse, several states around the country appear to be considering similar measures. S.B. 727 may seem benign. The bill’s purpose appears to be to give public colleges and universities more leeway in what types of course materials they assign to students and what types of pricing agreements they enter with the publishers of those materials. There’s a troubling provision, though, which says that institutions can assign texts that are “Delivered through a technology that is, or the license of which is, required to only be used within a course.” In other words, public colleges would be encouraged to assign materials that are locked down under arcane licensing agreements unfairly restricting how students can use them. Being able to buy and sell used textbooks gives students an important lever with which to rein in unfair pricing tactics by publishers. Under current law, publishers are urged to provide “unbundled” versions of textbooks for students—that is, to make books available as-is without forcing students also to buy expensive online subscriptions—and faculty are discouraged from assigning books that aren’t available unbundled. The law also directs institutions to facilitate resale and sharing of books among students, in order to help keep students’ costs low. SB 727 could undermine all of that. EFF has written a lot about how manufacturers and media owners attempt to use Terms of Service agreements to ban otherwise lawful use of their products or copyrighted works. These providers sometimes argue that by clicking “I agree,” you relinquish your fair use rights. The standard set by S.B. 727—saying that publishers can force students to use their materials “only within a course”—would clearly invite publishers to attempt to use those licensing agreements to restrict students’ fair use rights. Unfortunately, this dangerous bill has flown under the radar since it was introduced in April. It passed out of committee with barely a debate, and we’re concerned that it could quietly become law any day. Who’s really behind this effort? We’re not sure, but we do know that the Association of American Publishers has been heavily lobbying state legislatures (PDF) on the benefits of switching from traditional textbooks to “online learning systems.” Similar bills have been introduced this year in a number of other states. AAP’s lobbying campaign appears to be prompted by a new set of Department of Education regulations allowing certain financial aid grants to be used to pay for textbooks, but those rules say nothing about restricting students’ use of course materials. It’s ironic to see a bill in California that would so stringently restrict students’ use of their textbooks, as California colleges and universities have been leading the way in adoption of OER (open educational resources, or materials that are available free of charge under licenses that permit broad reuse). 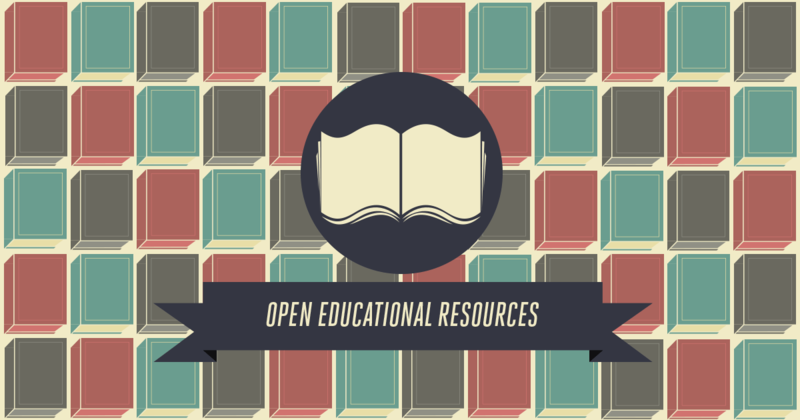 In 2012, California made the then largest investment in OER by a state government. The next year, the Board of Governors of the California Community Colleges adopted a policy that would require that any educational materials funded by the board be available to the public under a license allowing anyone to reuse them. There may be educational benefits to a transition from traditional textbooks to online services, but it’s essential that institutions make that transition in a way that isn’t a step backward for students. States should partner only with publishers that understand and respect students’ fair use rights, and they certainly shouldn’t enact laws giving those publishers legal ground to unfairly restrict how students use their materials. It’s also essential that schools recognize the power of secondary markets: being able to buy and sell used textbooks gives students an important lever with which to rein in unfair pricing tactics by publishers. Unfortunately, a transition to online systems may mean sacrificing some of students’ power to balance out unfair pricing through resale. Institutions should take that into account when choosing what course material offerings to use. The best way to meet both of those needs—respecting students’ fair use rights and acknowledging that online resources can limit students’ ability to push back against price gouging—is to enact policies that highly prioritize OER.